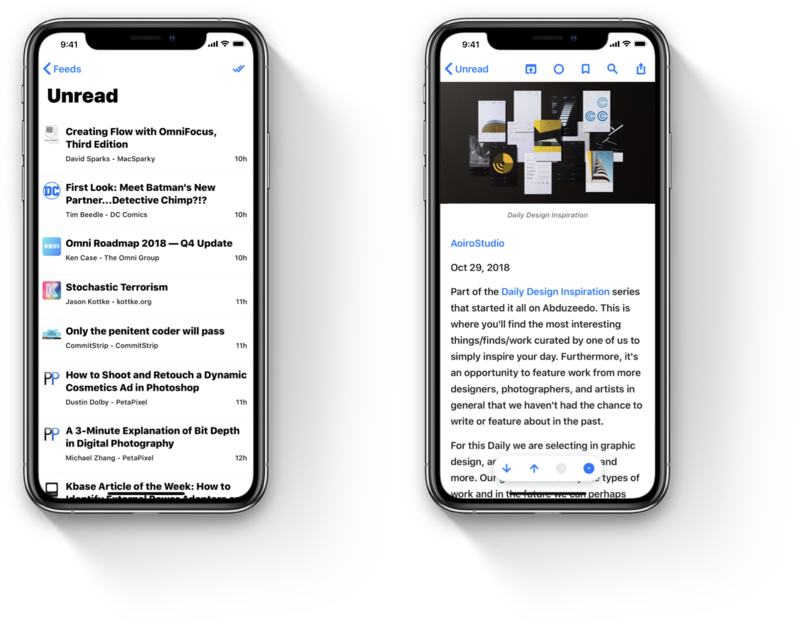 Elytra – The simple RSS Reader. 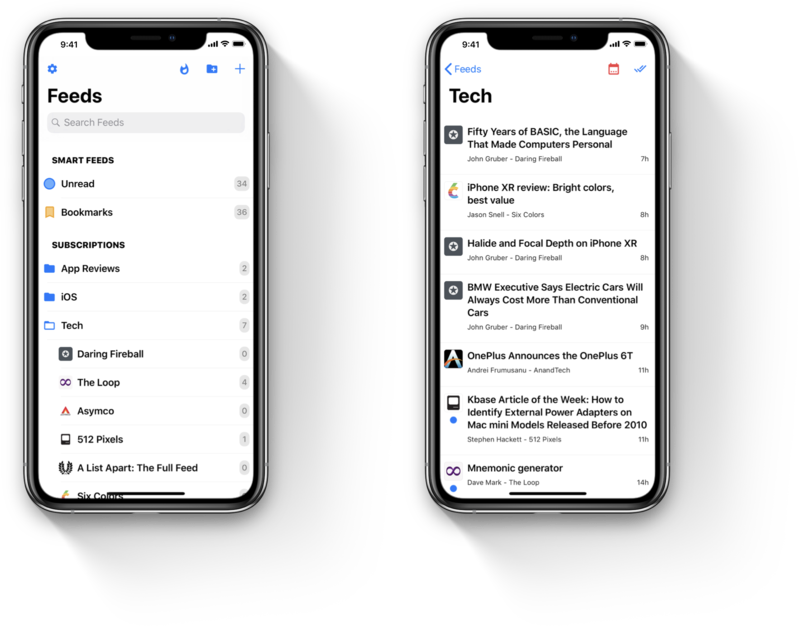 This blog publishes release notes, engineering and design details. In the v1.2 release of Elytra, a few users of Elytra started to report unusual behaviour in the app when marking multiple articles as read especially with the backdated articles setting. This was caused due to an issue with the API of Elytra which behaved unexpectedly due to a misconfiguration in the iOS App. Today’s release corrects this behaviour and now works as expected. 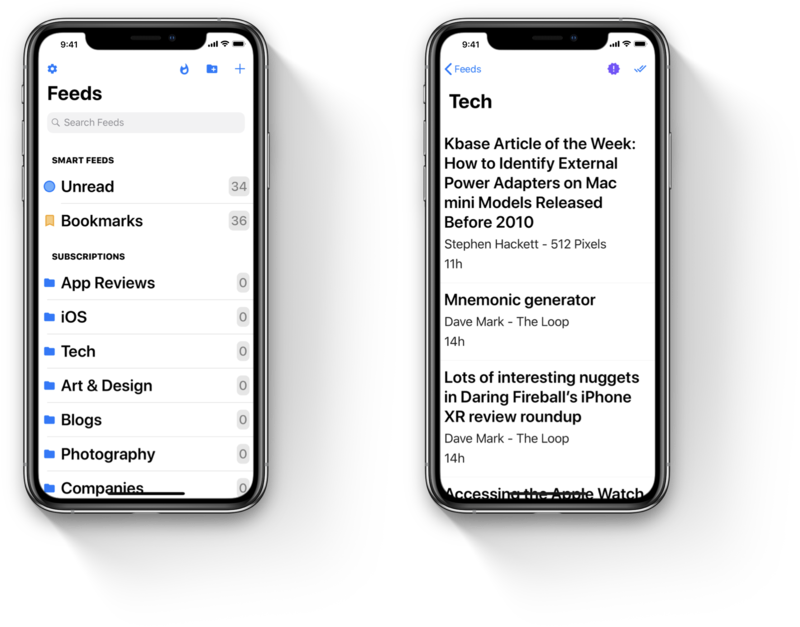 This release also contains a fix which works around a bug in iOS 12.1.x where trying to copying rich text from the Article Interface could crash the app. So at the moment, copying rich text wont work as expected and will default to plain text in most cases. I’m trying to isolate the issue on my end as far as possible so I can report this to Apple Engineers if necessary. I have also been keeping a close eye on crashes and issues you may be facing. I’m happy to report that over the last one month, App Store Connect has reported zero crashes with a healthy usage increase. This is a huge milestone for Elytra and has been possible only because of all the wonderful and helpful people who have patiently worked with me to get these fixed. I’ll detail my summer plans for Elytra in a separate blog post. As of now, Elytra’s v1.3 is shaping up to be a really cool release and I cannot wait to share more details with all of y’all. Elytra’s Spring update has been available for a while on the App Store, but due to personal reasons and prior commitments, I was unable to write this post. So let’s get down to it. To celebrate the Spring Update, I also took the opportunity to update the main website as well. I’ll be making a couple of tweaks to it to fix some responsive design issues, but apart from that, I hope you like it. I also tried making the Privacy aspect of Elytra and the pricing structure (thanks to the wonderful people behind Capsicum app for the inspiration) a bit more clear and upfront. 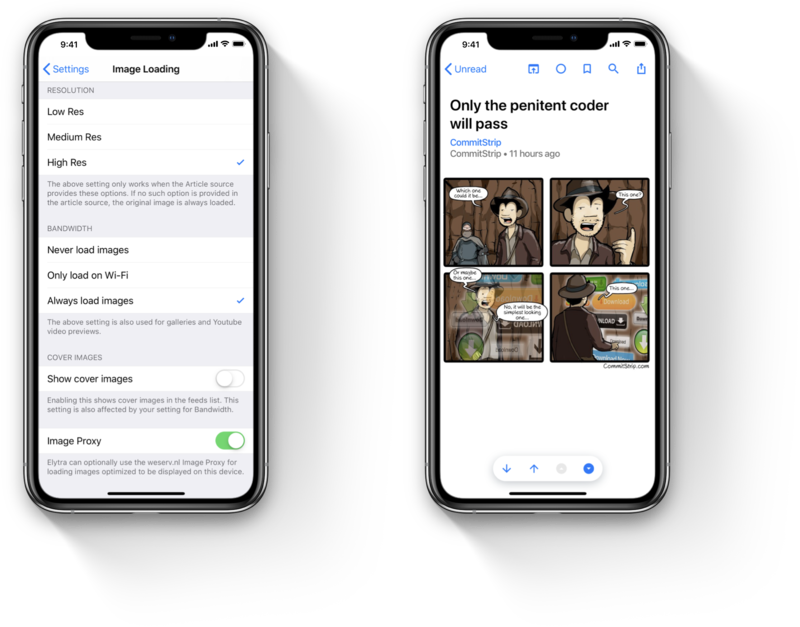 Version 1.2 has by far been the most involved update I have worked on for any app. 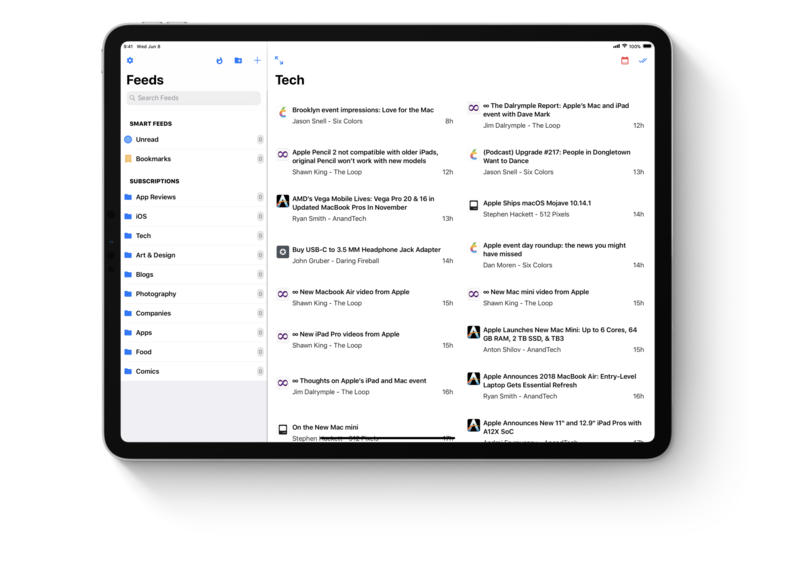 On the surface, not a whole lot has changed, but under the User Interface, significant changes have been made to improve rendering times for the Article Viewer, networking, continuous efforts to reduce power and network bandwidth consumption and a whole lot more. As for the changes directly noticeable, let’s go through them. 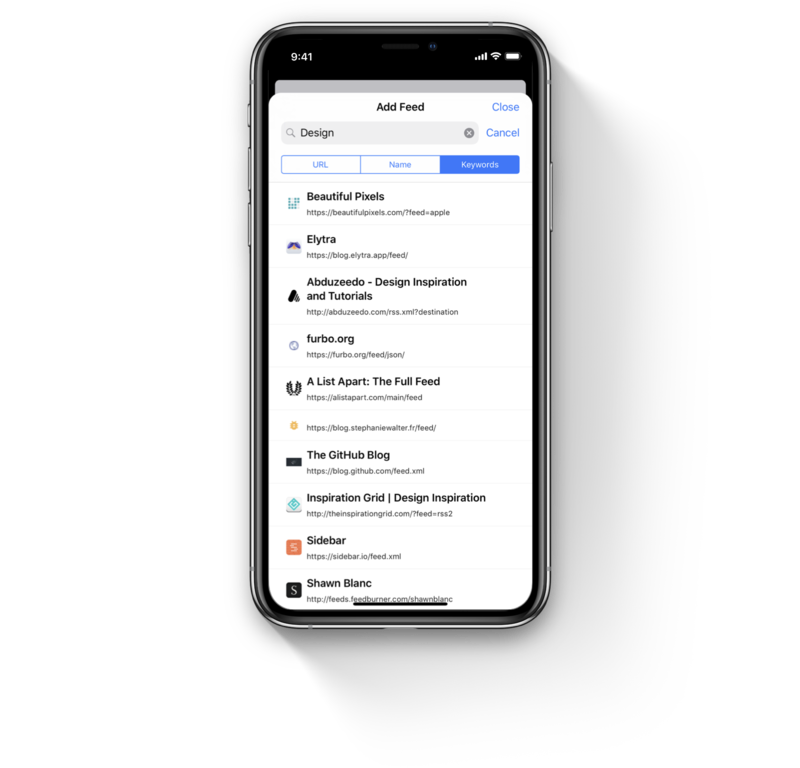 In v1.2, I tried to make finding blogs that match your interests a little simpler. Once again, I did not want to implement a “My interests” based system where Elytra harvests this data and recommends blogs to you. 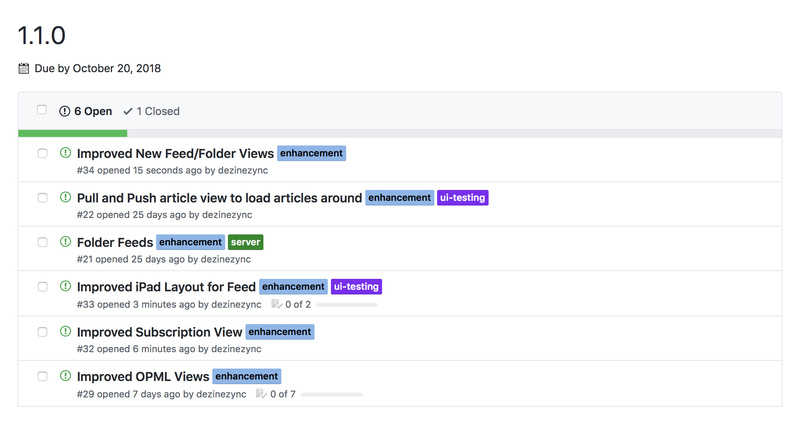 As I noted in my previous post, Improving Discoverability, I harnessed data already available to Elytra to help you find new blogs. You can read all the details in that post. The traditional: add by entering a link method. Searching by the title of the blog. Searching by keywords associated with the blog. All the information above is made publicly available to Elytra and blogs can change this information anytime. Elytra does not add any information to this so all results you see are Best Match only. 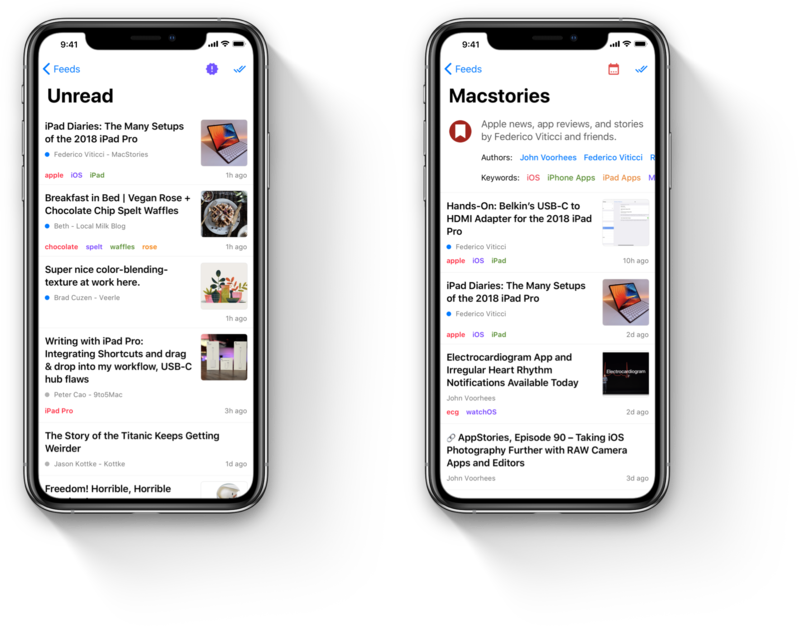 Apart from this, the Extended Feed Format is now default and the older list format has been removed from the app completely. 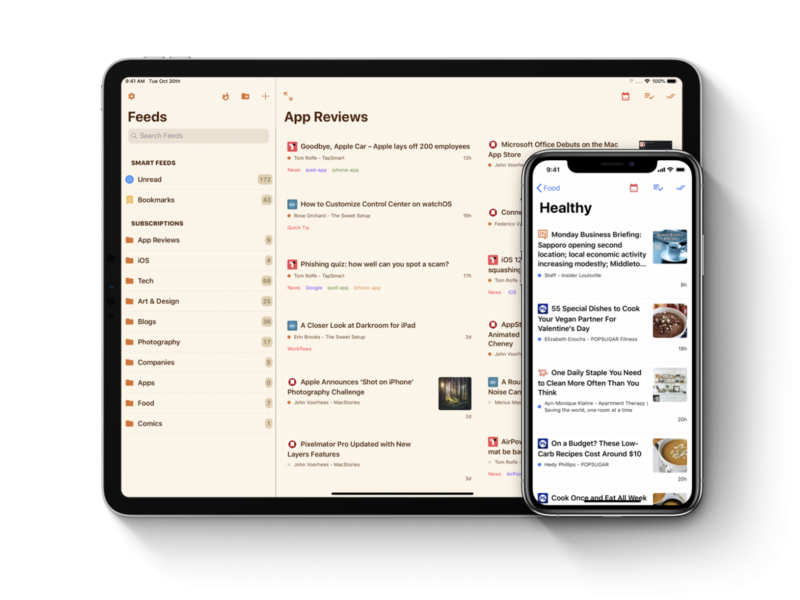 The newer design and layout can accommodate a lot more information and a variety of settings to show and hide that information with better compatibility. I highly recommend you check out the Miscellaneous section under the App’s Settings for all possible options. Apart from what I mentioned earlier in the post, there aren’t a whole lot of improvements in the app that are visible. Most changes have occurred “under the hood” to improve performance and stability of the app. Apart from all the new things and improvements, I was able to fix a lot of bugs from v1.0 and v1.1. As of right now, Elytra has no crashing bugs that I am aware of. This brings it to a level of stability that gives me free time to build other cool stuff for Elytra. I have one more patch update Waiting for Review in the App Store which will bring the highly requested Reader and Flutter (flatter, but wings, so flutter) App Icon options for you to choose from, so I hope you like them. After the release of v1.2.2, if any bugs come up, I’ll be patching and fixing them in v1.2.3. But if nothing comes up, I’ll commence work on a few other related projects and v1.3 in March. As always, I really appreciate the wonderful reviews y’all write on the App Store and I enjoy reading your emails, so please keep ‘em coming. Cheers. I’ve just finished work on a new set of servers in the Singapore region. These servers will now handle traffic for all of your requests from the South East Asia region. You should experience lower latencies, faster load times and over all improved speediness in the app. Users in the European and American regions are currently unaffected by this change. There will be a scheduled downtime of the Elytra Service starting 28 October at 09:00PM IST (28 October, 3:30PM UTC) up to 29 October, 02:00 AM IST (28 October, 8:30 PM UTC). During this time, I’ll be upgrading some of the servers in the US-East region for improved efficiency, reduced costs and higher throughput overall. The service will remain unavailable during that time to the users in the American and European regions. Service will continue as expected for users in the South East Asian region. Due to the change in the pricing for the servers, the benefits will be passed on to you. I’ll share more details on this later. I’ll appreciate your patience during this scheduled downtime. You can find the discussion on this post on Reddit. I’ve spent the weekend planning for the upcoming 1.1.0 release of Elytra. 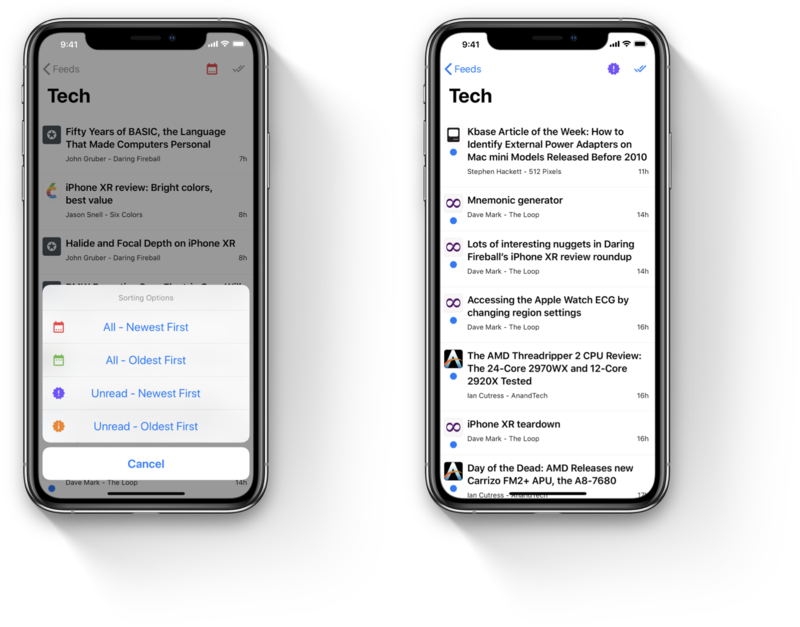 It’s been a very enlightening weekend for me as to what ya’ll are looking for in an RSS Reader as well as some features and improvements I want to bring to the app. This is what the Roadmap is currently looking like for this release. If there is something else you’d like to see included in this release, please feel free to email me, or you can also find me on Twitter. My Direct Messages are open to everyone. The date in the screenshot is a tentative date and is likely to change but as far as possible, I’d like to stick and commit to that date. If you notice, we have an established schedule here. 1.5 months per release is a decent timeframe. There is no guarantee that it’ll be maintained due to several factors being outside my control, I will certainly try my best. That is all from me for this week. I’m most likely going to be a hermit for this week sorting out all the layouts and such so please do excuse me if I respond to your emails slower than usual.